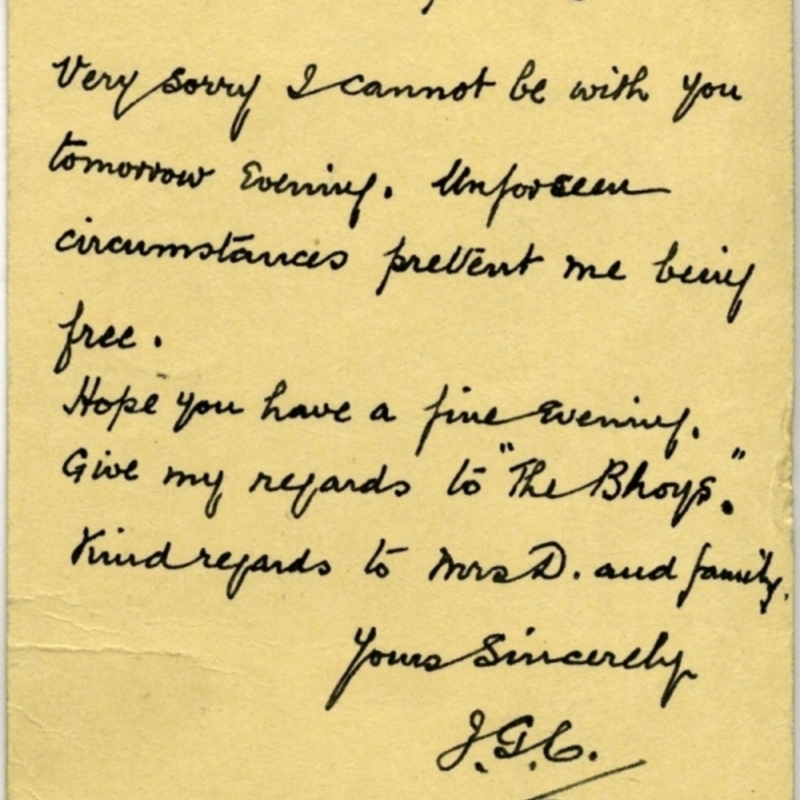 Home > Archives > Letter to Mr Hugh Dunbar from "JGC"
Letter to Mr Hugh Dunbar from "JGC"
Letter to Mr Hugh Dunbar from "JGC". Regrets he is unable to attend meeting. Fell out of a book during conservation survey, October 2002. 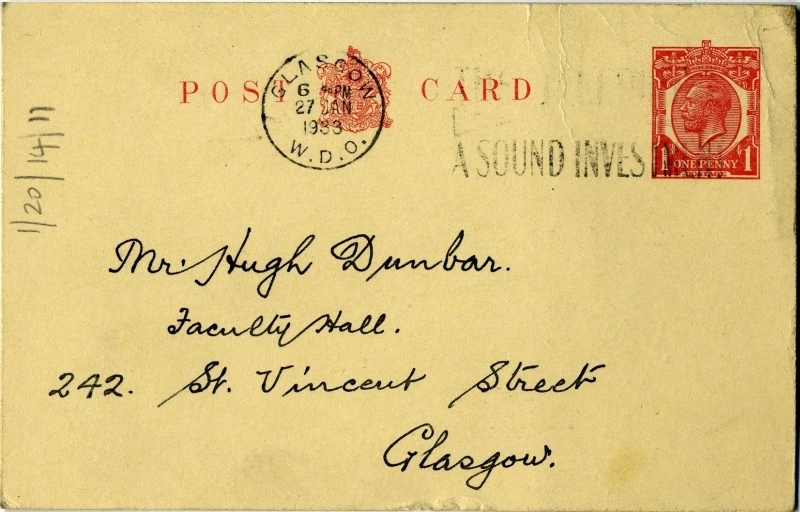 Hugh Dunbar, “Letter to Mr Hugh Dunbar from "JGC",” Heritage, accessed April 20, 2019, https://heritage.rcpsg.ac.uk/items/show/391. 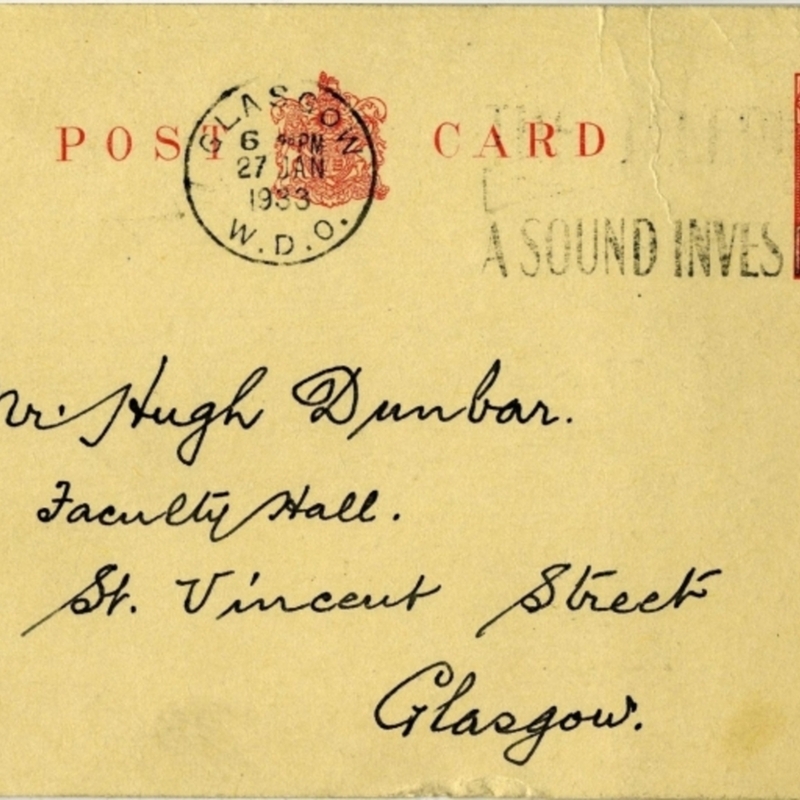 Title: Letter to Mr Hugh Dunbar from "JGC"
Description: Letter to Mr Hugh Dunbar from "JGC". 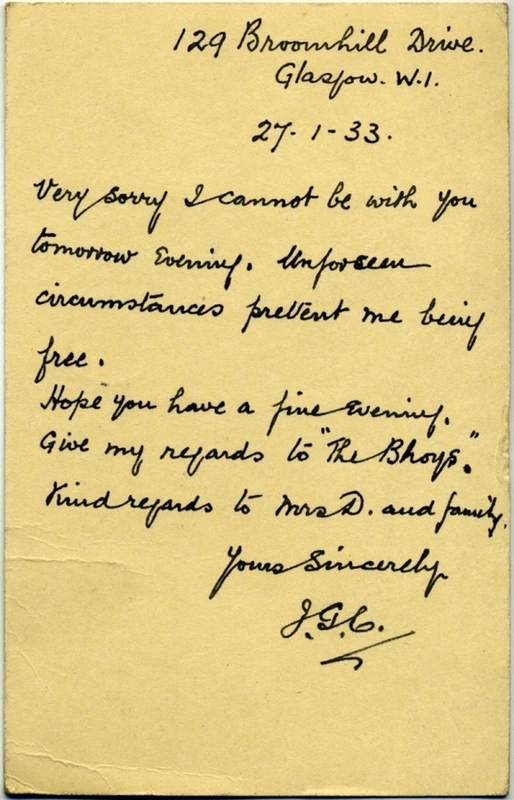 Regrets he is unable to attend meeting. Fell out of a book during conservation survey, October 2002.